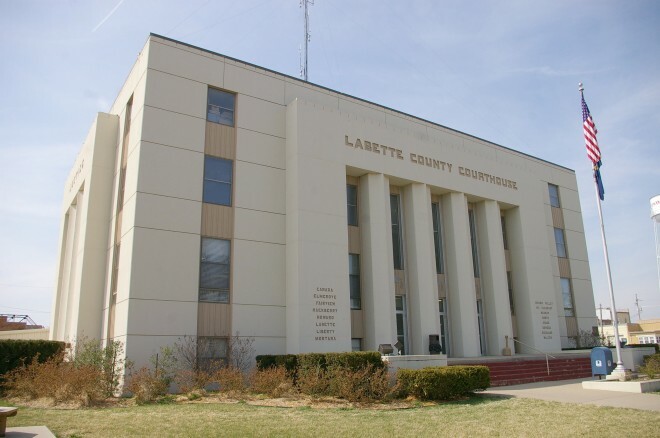 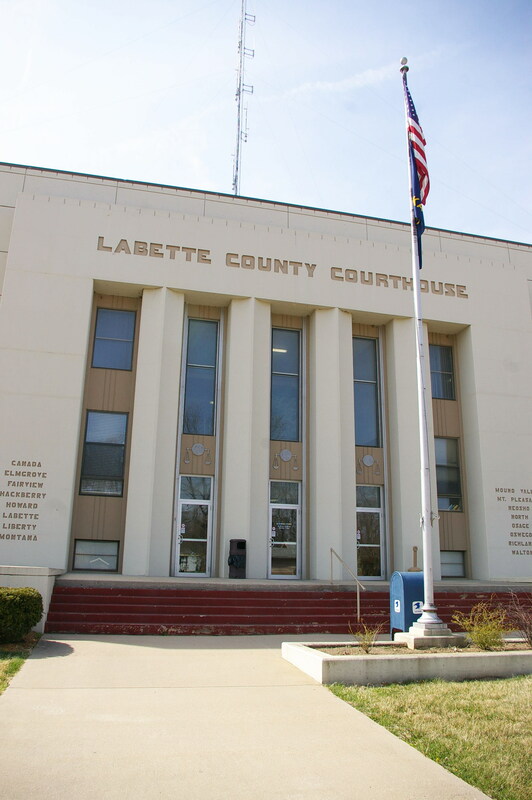 Labette County is named for the French word meaning ”the beet” which is a vegetable. 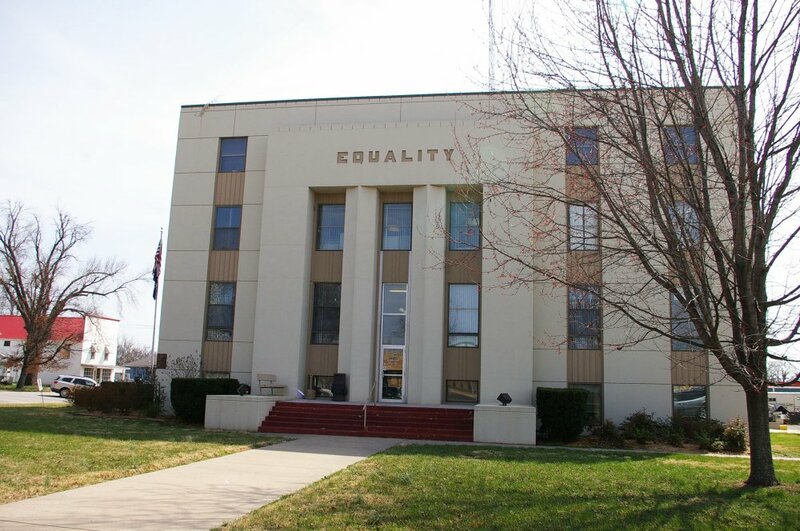 Description: The building faces east and is a three story yellow colored stone face and concrete structure. 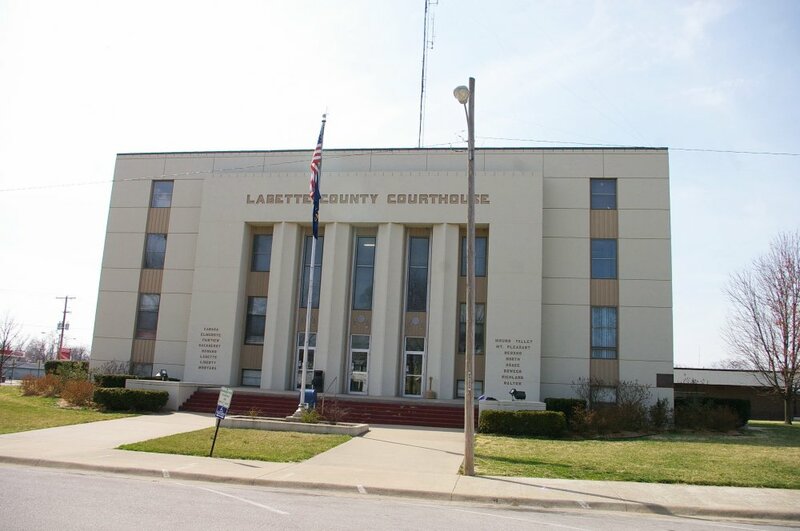 The east front has a projecting central section with four dividing pillars between the entrance doors on the first story and the windows on the second and third stories. There are vertical orange colored panels between the windows. 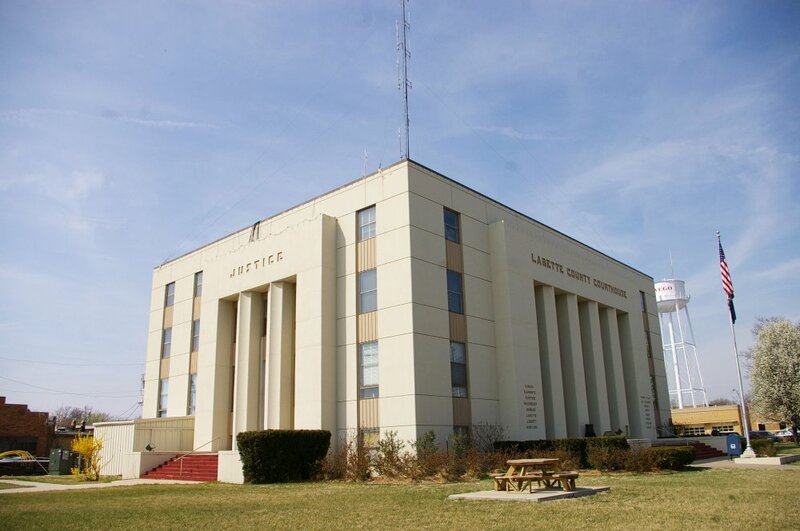 Note: The previous courthouse was designed and constructed by H C Hall and C O Perkins in 1880. 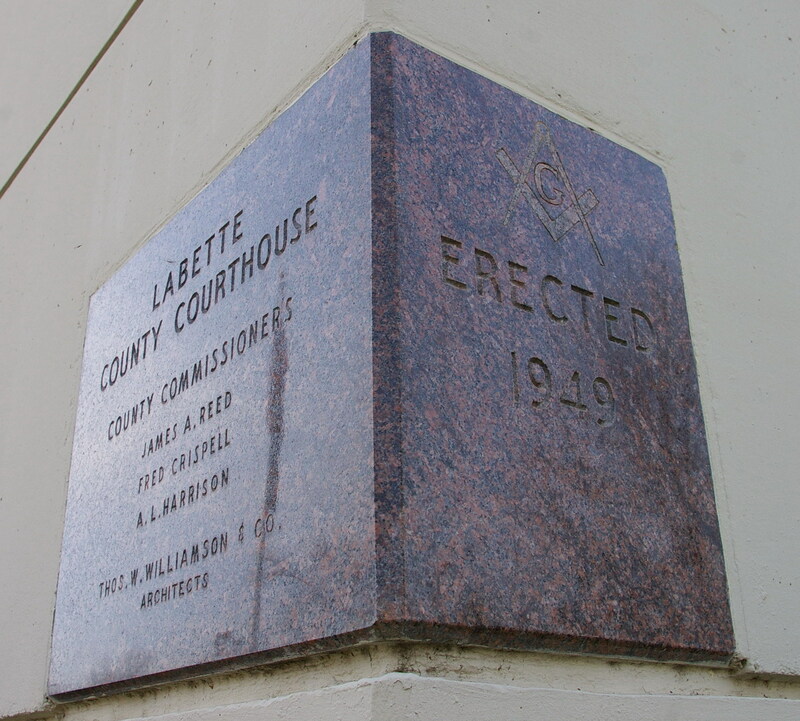 The building was demolished.